Small, non load-bearing columns, but also walls and corners that jut out, are among the most vulnerable parts of a building. The KP Protector is a round column protection for round load-bearing pillars or for columns with an H beam. 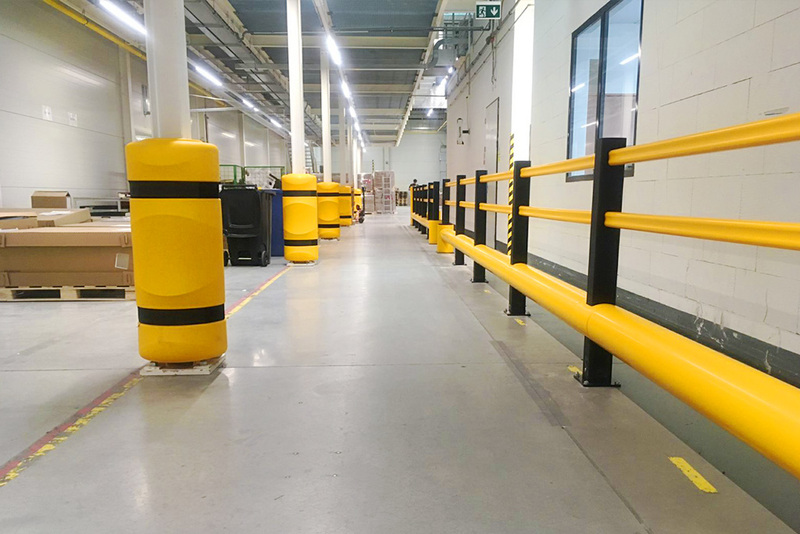 With its modular fence-shaped structure, the KP Universal has been specifically designed to protect masts, load-bearing pillars and columns of extraordinary sizes from collisions. Our FLEX IMPACT® column protectors can be deployed as protection for walls, corners and structural columns. After all, collisions can endanger the long-term stability of your building’s entire construction. But also the unappealing sight of damaged concrete, walls and infrastructure after multiple collisions can be harmful to your corporate image. Our column protectors make this a thing of the past. Our systems for column protection have a large compressive capacity. This allows them to absorb impacts perfectly and safeguarding the pillar from structural damage.